The Gold Star took its name from famous racer Wal Handley's achievement of lapping the banked Brooklands circuit at an average speed of 100mph in 1937. 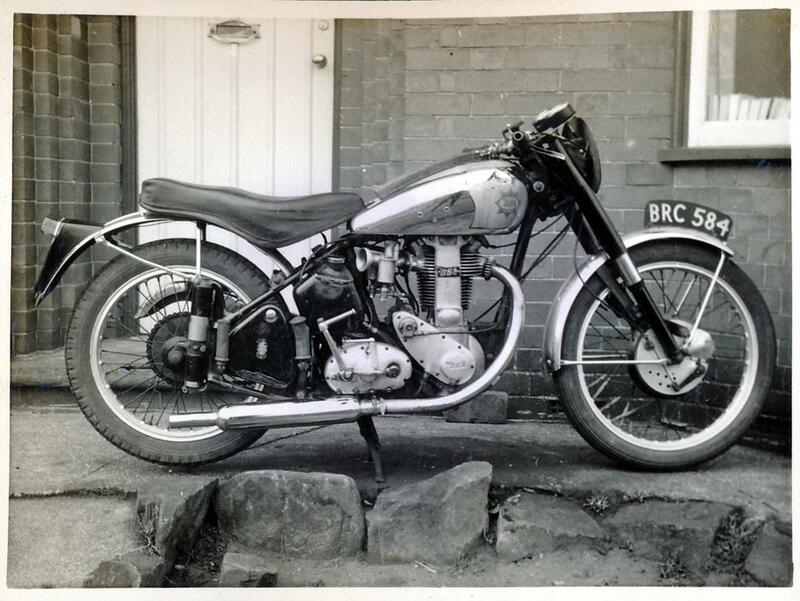 He was awarded a Brooklands Gold Star for the feat, which he performed on a BSA Empire Star, and the firm renamed the bike a 'Gold Star' in 1938. 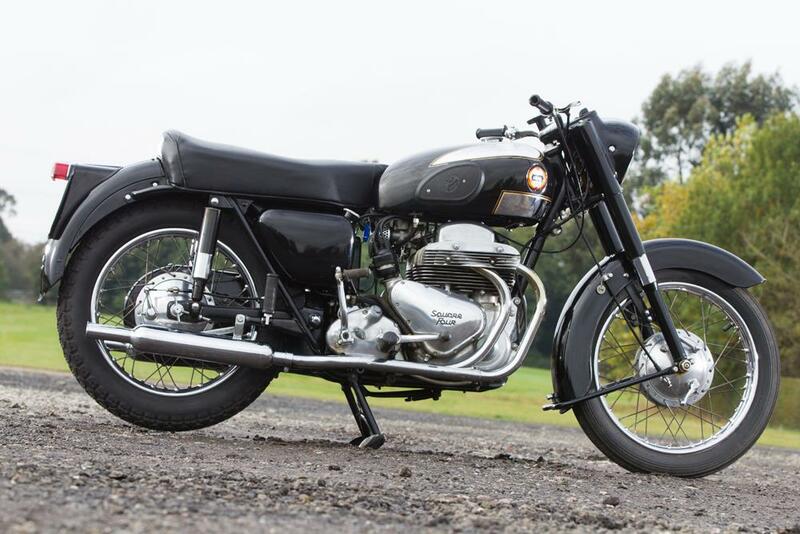 Numerous versions of the bike followed in the post-war years and they were offered in such varied states of tune (from 18bhp to 42bhp) that they were suitable for competition trials riding, motocross and road racing as well as road riding and touring. The most beautiful version of the Gold Star for many was the DBD34 on 1956 vintage. It featured clip-on racing handlebars, a swept-back exhaust, finned engine and polished tank and was capable of 110mph. 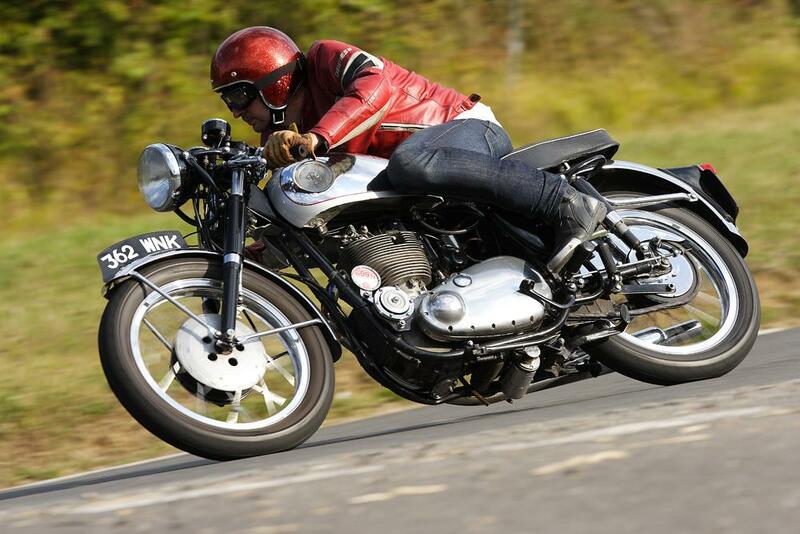 Even after production of the bike ceased in 1963, the Gold Star remained in huge demand with cafe racers and is still highly sought-after today. World-renowned photographer Don Morley owned ten Gold Stars, including several DBD34s, throughout the '50s and '60s. He used them to compete in road racing, trials and motocross and covered countless road miles on them for his job. Few people know the bikes better. 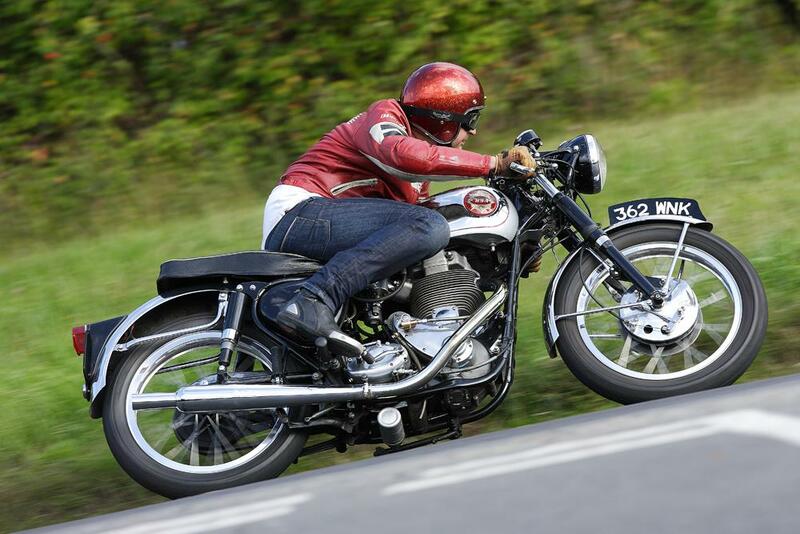 “The first Gold Star I bought was the one that Fron Purslow raced in the 1947 Clubmans' TT. I bought it in about 1952 to go racing but would also put Bobby-dodgers (lights) on it to ride on the road. It was a 350 model, which was the bike that most people preferred. It was better than the 500 because BSA had always focused their development on the 350 models so they were far more exotic. The 500 was only about 2mph faster, although it did have more torque. I had several DBD34s, the first being in about 1960, although I never owned one from new. I bought them just for using on the road and, to be honest, they were real pigs to ride on the road. They had a close-ratio gearbox - and don't forget they only had four gears - and the gearing was so tall that the bike was almost impossible to ride in traffic. You couldn't let the clutch in until you were doing over 60mph! So the DBD34 was a brilliant bike to ride on open country roads but if you rode up to Fleet Street as often as I did it was a bit of a nightmare! “I was always a BSA fan and I think the Gold Star was the very pinnacle of BSA design. And even though the 350 was a more flexible machine, I always had a 500 Gold Star in the garage too. The DBD34 was really all about looks - people were buying them as a race bike for the road. It was a poseurs bike really. I suppose a more modern equivalent would have been Yamaha's RD500LC. I could have one just sat in my front room and look at it for hours on end. To mark 60 years of publication, we are proud to prompt maybe the most controversial debate yet! Between now and the end of the year we will keep the argument, over which of these bikes is the best that we've seen over our sixty years, raging and we want you to get involved. Cast your vote, send in tales and pictures as you make a case for your personal favourite. 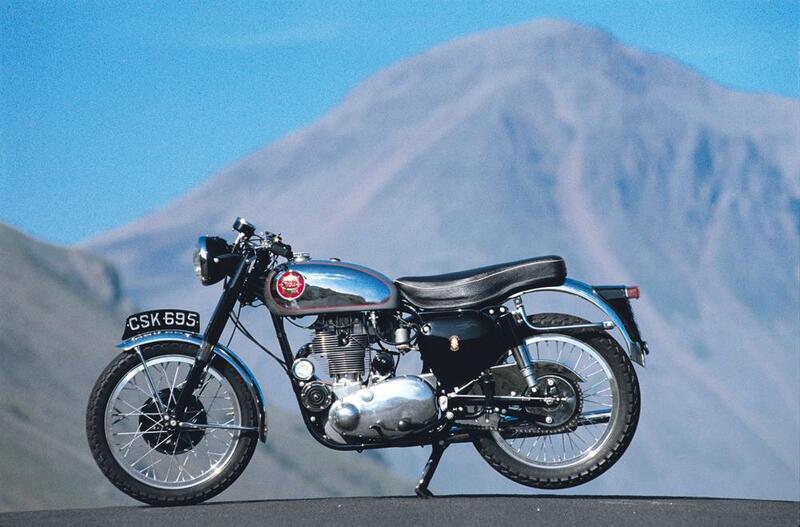 Ever owned a BSA Gold Star? 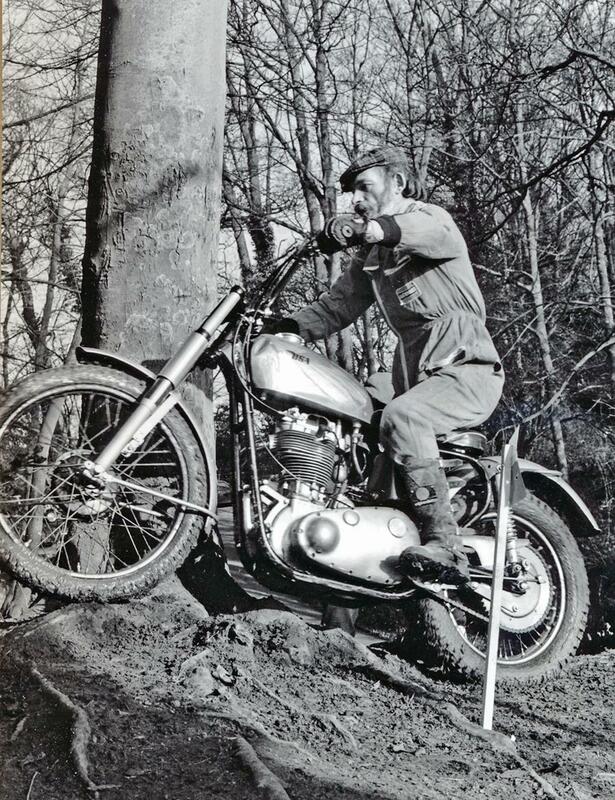 Whatever happened to BSA motorcycles? MCN cover star Chesca Miles is no longer just a model, singer and stunt rider, but a Bond girl too.